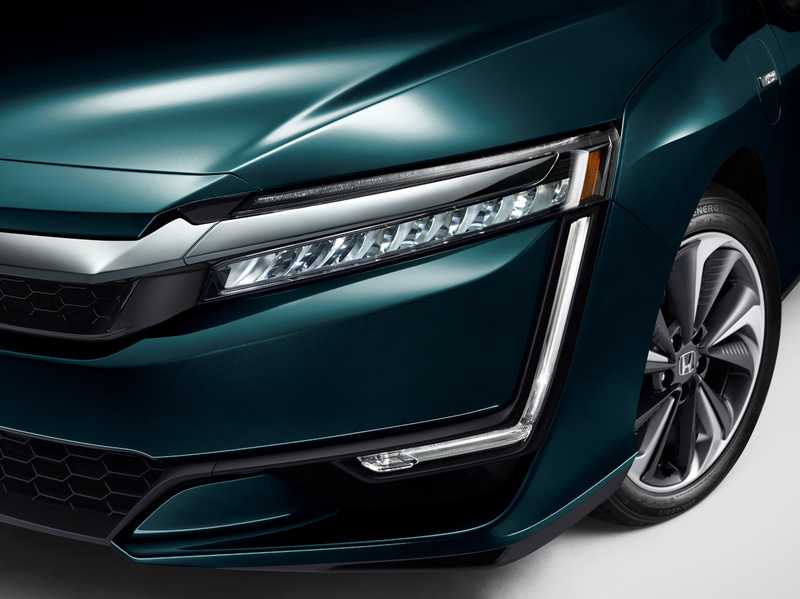 Honda revealed their full line of Clarity electrified vehicles at the New York Auto Show that will extend their halo fuel-cell vehicle brand to mainstream plug-in hybrid and electric models. 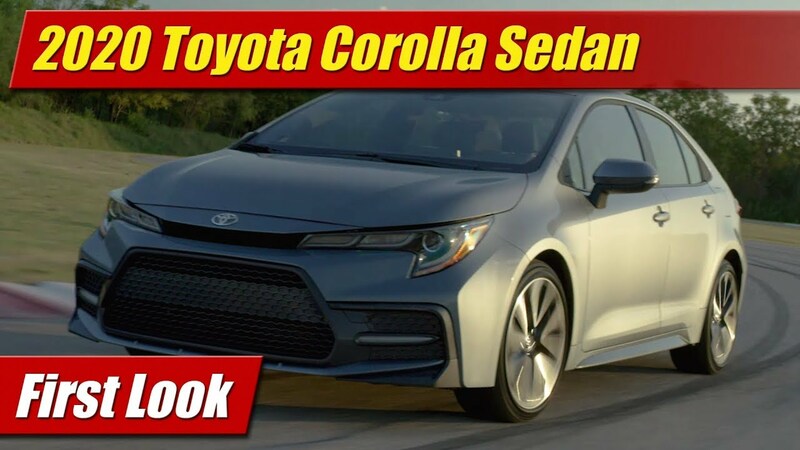 A strategy to compete head to head with Toyota and Hyundai who have offered their own dedicated green car sub-brands, Honda has shown their own marketing genius with the new 2017 Clarity Plug-In Hybrid and Electric models. Designed for aerodynamics, the Clarity silhouette and overall vibe is much like a modern day Japanese version of the Citroen DS. This is to say it’s a little different and purposeful in its form. Is that a nice way to say it? 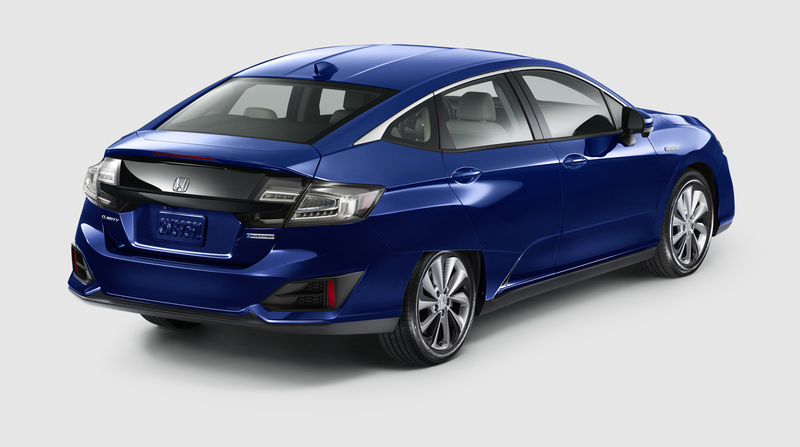 What it does have is Honda’s familiar facial styling, though lower than most as well as wide. 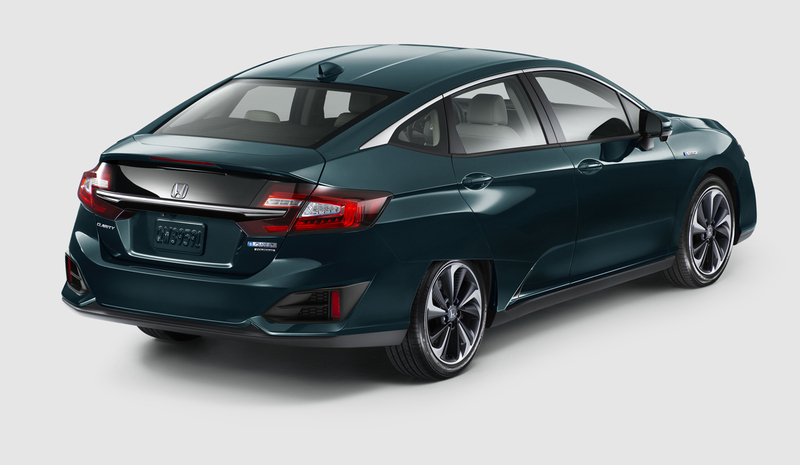 The rear view is also familiar to some of the contemporary Honda designs. From the side profile, it’s all your own interpretation. 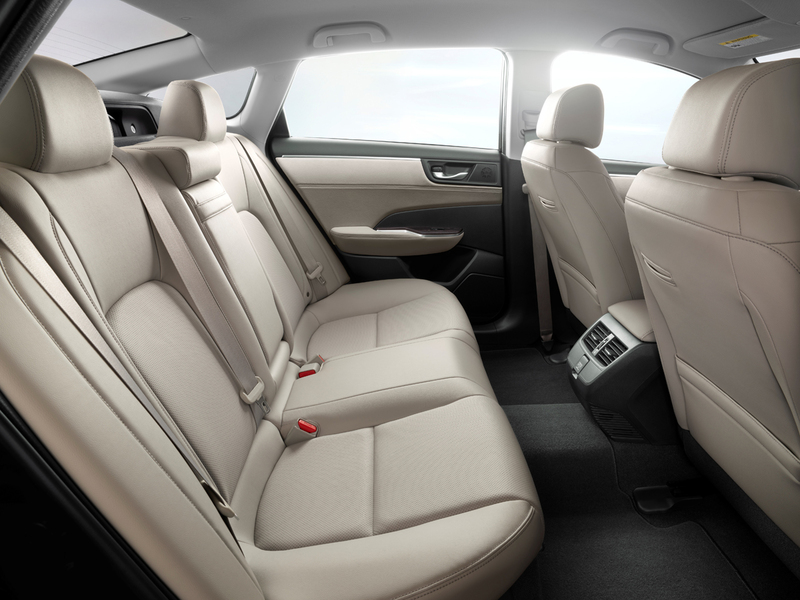 The interior is also very much modern and premium in its design. 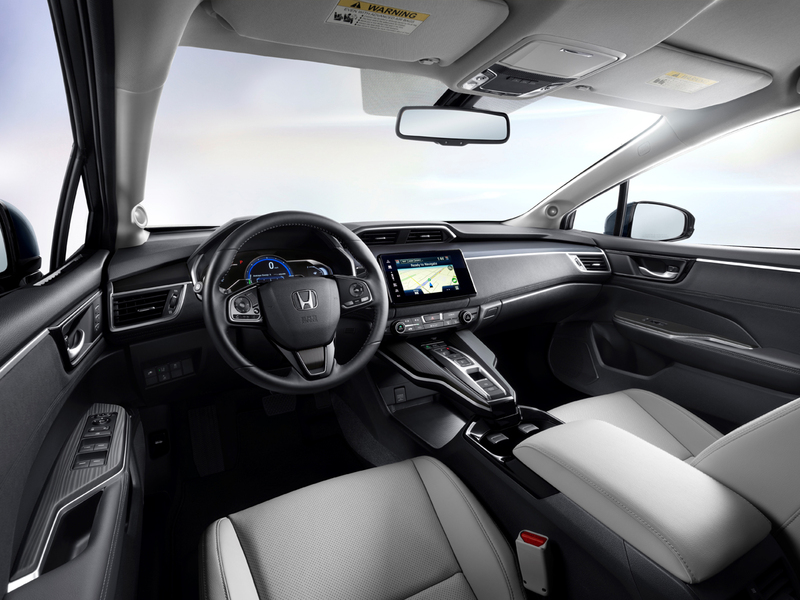 In the top-level trim you see here, generous slabs of sueded soft trims and wood-grain wrap the dash and door panels, technological features aplenty and too much to list here. 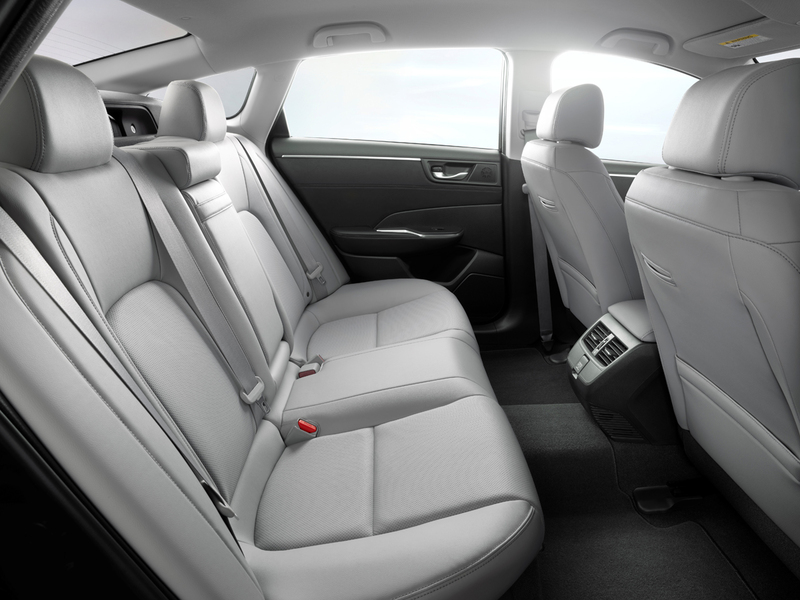 It’s almost Volvo-like in its form, and quality as expected from Honda will be top-notch. 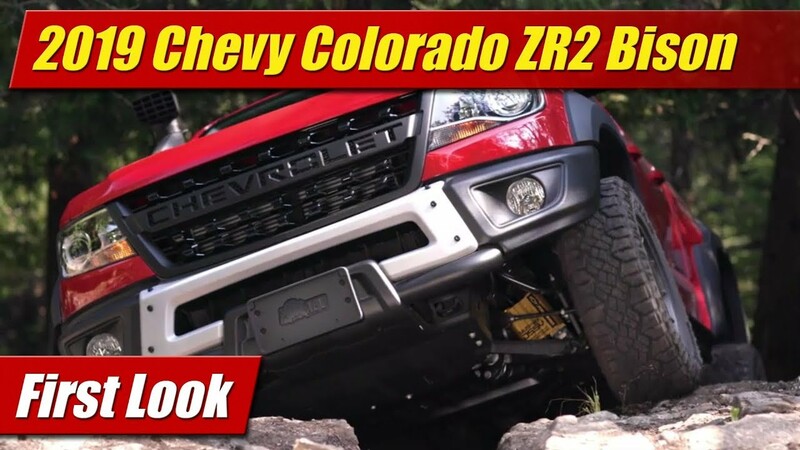 Two models were announced at New York. The first being what will be the most common and the one built here in the United States. 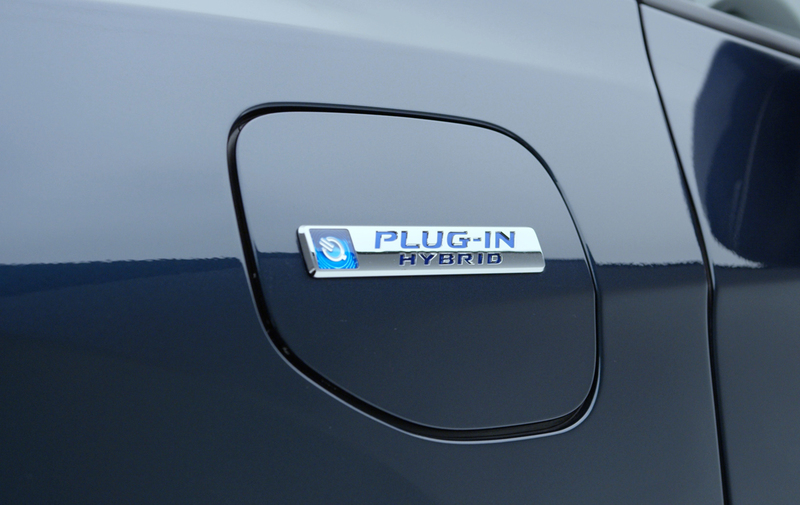 The Plug-In Hybrid will be powered by a 1.5 liter Atkinson Cycle engine and a powerful electric motor. 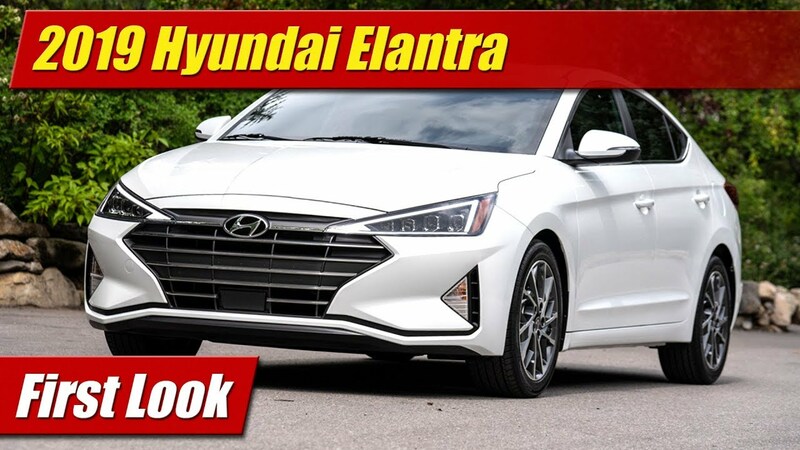 While full specs haven’t yet been announced, electric power comes from a pretty robust 181 horsepower motor and with its massive 17-kilowatt hour (kWh) battery pack should have an all electric range of 42 miles before traditional hybrid mode kicks in. Expected MPGe is 105. 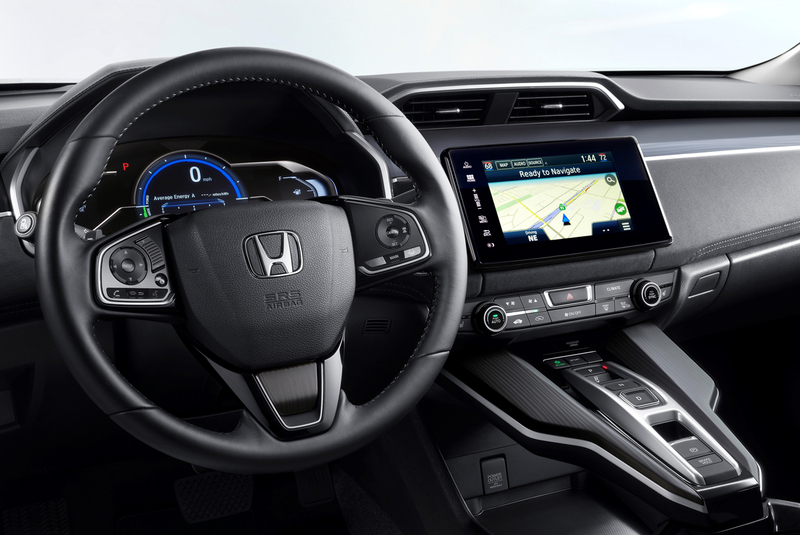 The 2017 Honda Clarity Electric will look much the same as the other two models but will be powered by a 161-horsepower electric motor that has a prodigious 221 pound-feet of torque. 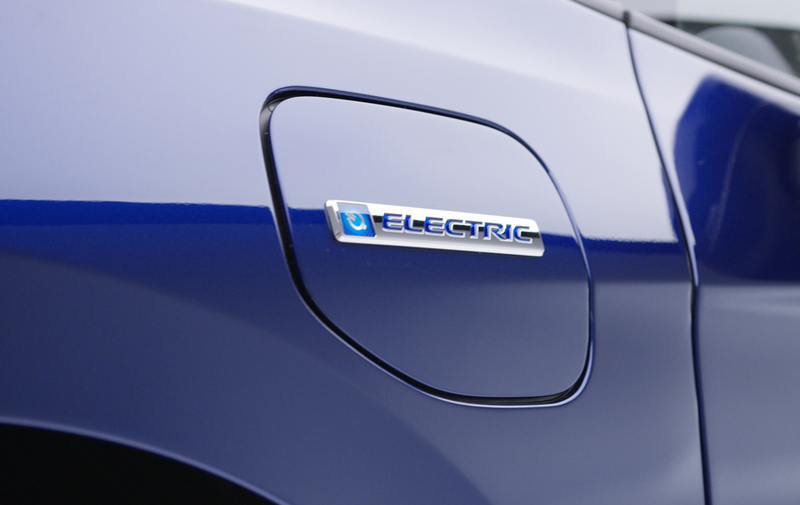 A massive 25.5-kWh battery pack can by fully charged in just over three hours with a 240v Level 2 charger and just 30 minutes with a Level 3 fast charger. 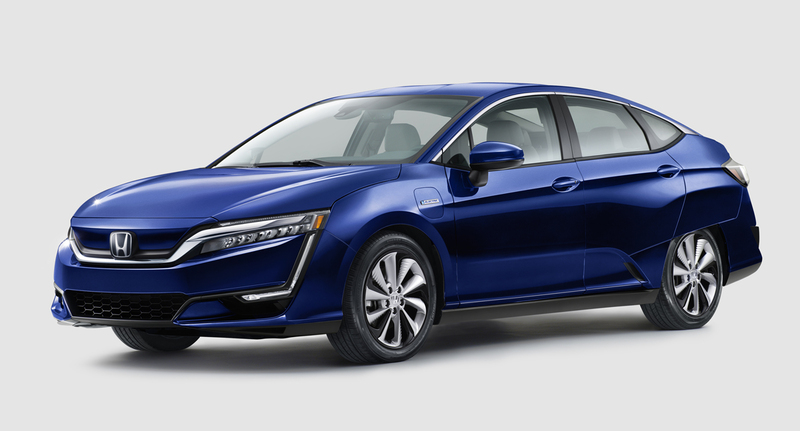 The Honda Clarity Electric however like the Clarity Fuel Cell will have very limited availability. 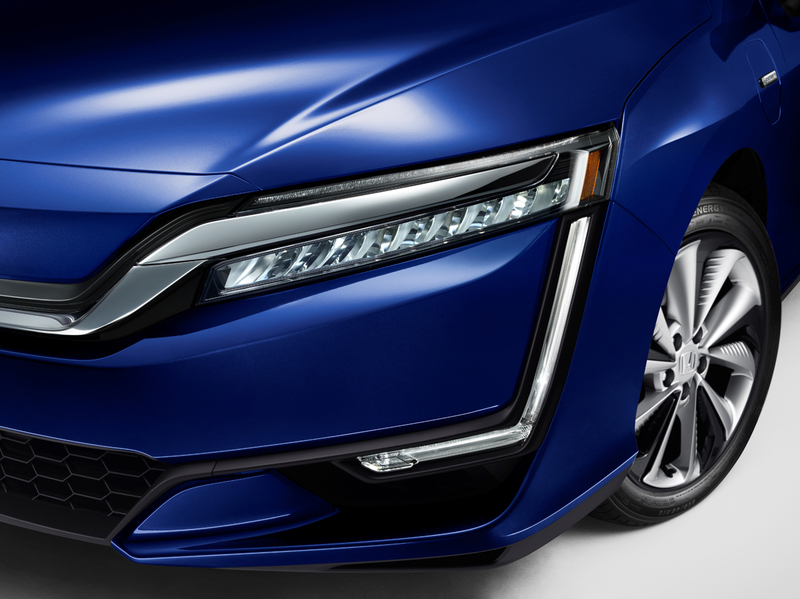 Built in Japan along-side the Fuel Cell model, the Clarity Electric will at first be available in California and Oregon on a lease only program. 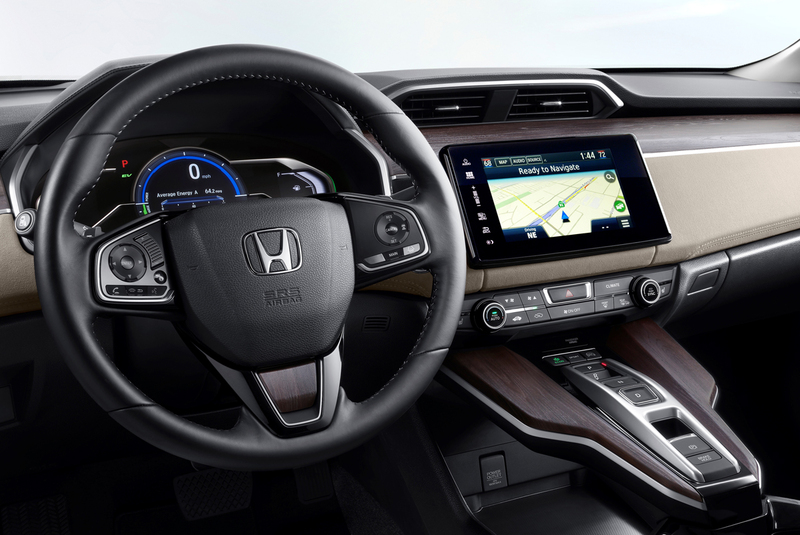 The two new 2017 Honda Clarity models including the Plug-In Hybrid and the Electric go on sale a little bit later this year. Pricing will be announced closer to that time.